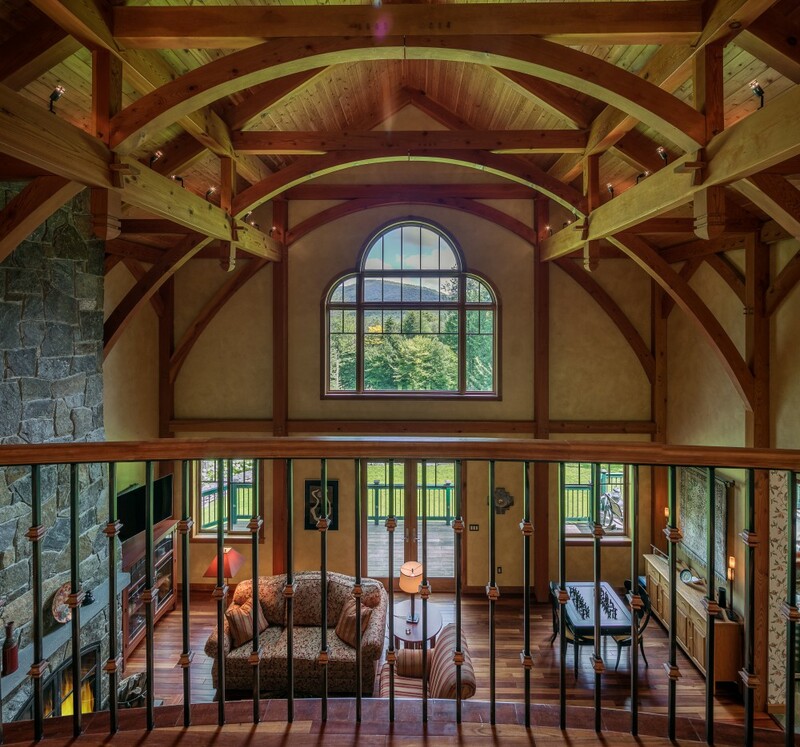 Breathtaking architectural features, craftsmanship of the highest caliber and a location privately situated near Stratton Mountain Resort are the hallmarks of this distinctive residence. With views of Pinnacle Peak, the home is sited ideally on 5.18 acres against a backdrop of mountain woodlands with beautiful landscaping, stonewalls and outdoors spaces for year-round enjoyment. 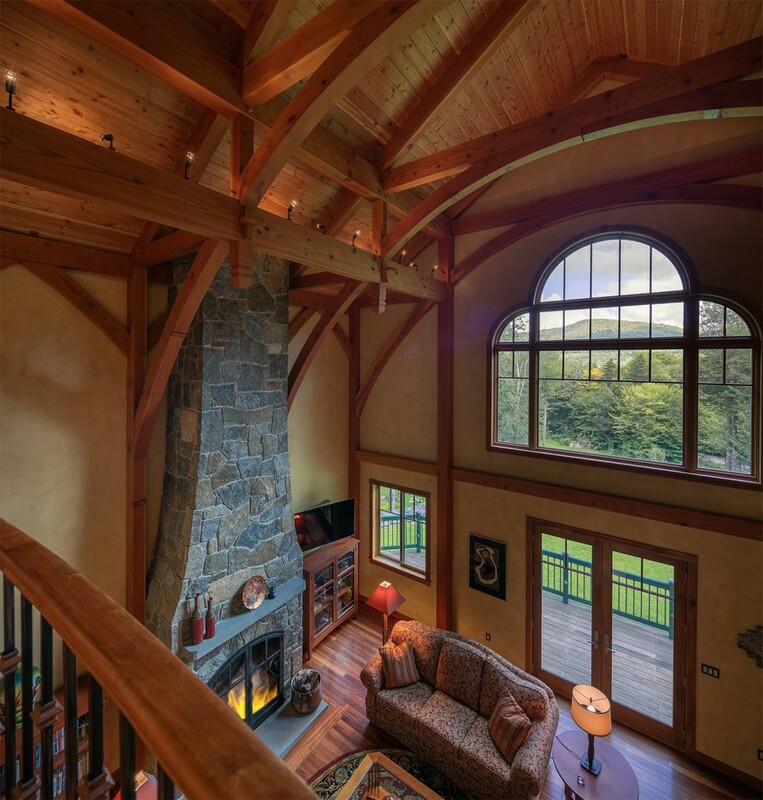 Designed for entertaining on a grand scale, the living room with a 29-foot peak ceiling features spectacular timber frame of old growth Douglas fir with curved beams, solid posts and wooden pegs. 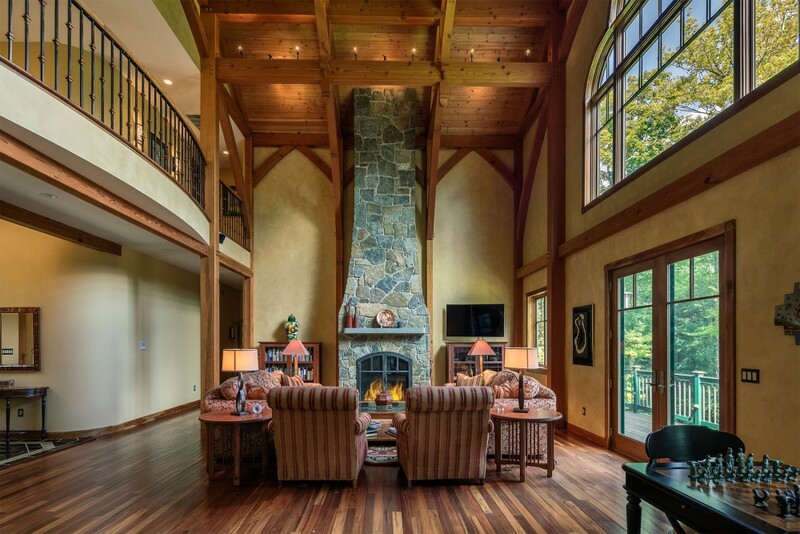 The dramatic two-story stone fireplace with elliptical curved design is nothing short of remarkable. The gourmet kitchen with premier stainless steel appliances, granite countertops, multiple work stations, large island, wet bar and breakfast area opens to a spacious deck with remarkable views. Main en suite master provides respite with fireplace and spa-style bath with sauna. 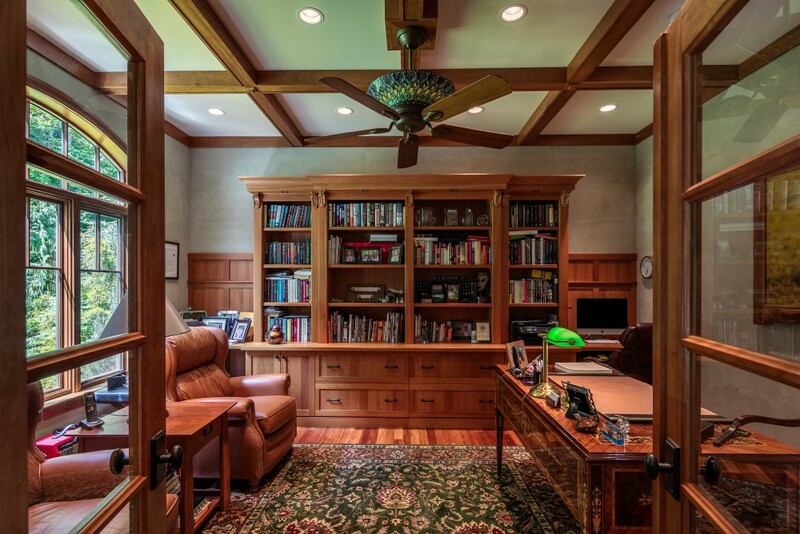 The formal dining room, library with coffered ceilings and exceptional cherry woodwork, multiple guest suites, and media room allow family and weekend guests to reside in comfort and privacy. Maintain your fitness in the personal gym or practice your golf swing with the P3 Pro Swing Simulator. No detail in this 7,750 SF home has been overlooked. 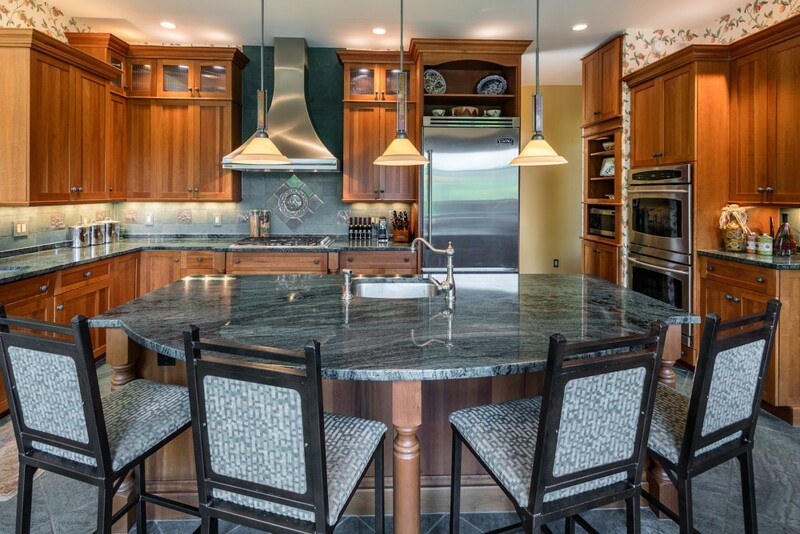 You are certain to appreciate the crown molding, Hubbardton Forge lighting fixtures, tiger wood floors, slate, travertine, marble, and other superior finishes that define this home. This property is energy efficient with a 12 kW solar installation capable of meeting all electric needs. 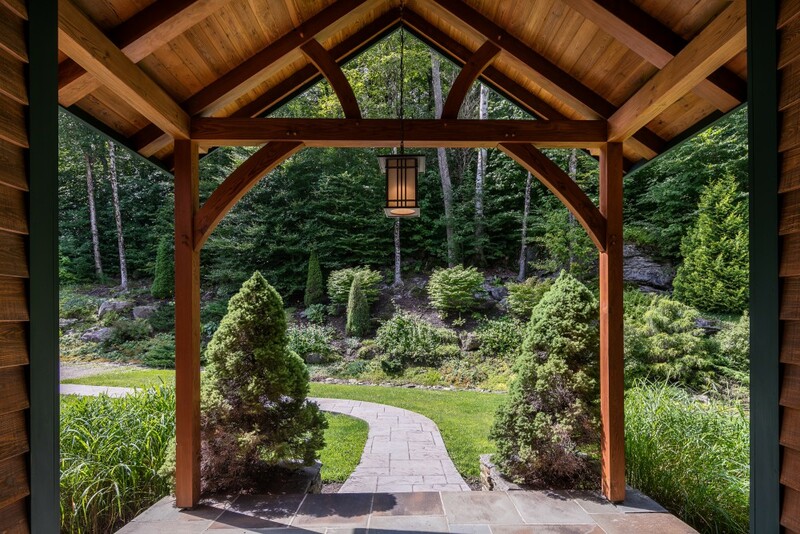 This luxurious sanctuary places you in an idyllic woodland setting that is convenient to Stratton Mountain. Through all seasons, everything the area has to offer is at your doorstep. Skiing, golf and the Stratton Village with its many shops and restaurants are just five minutes away. 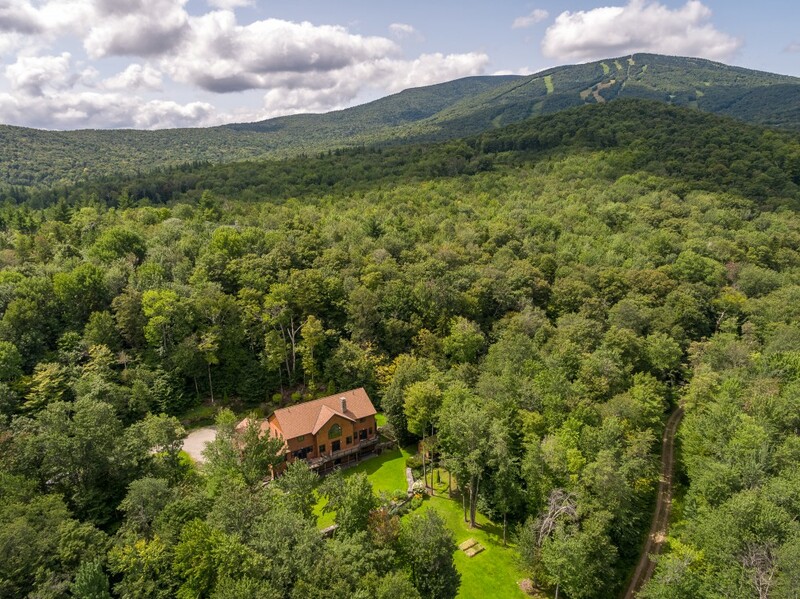 Enjoy the outdoors in southern Vermont with endless hiking trails and wonderful places to swim and paddleboard. Rarely does a home of this caliber become available in the Resort marketplace. 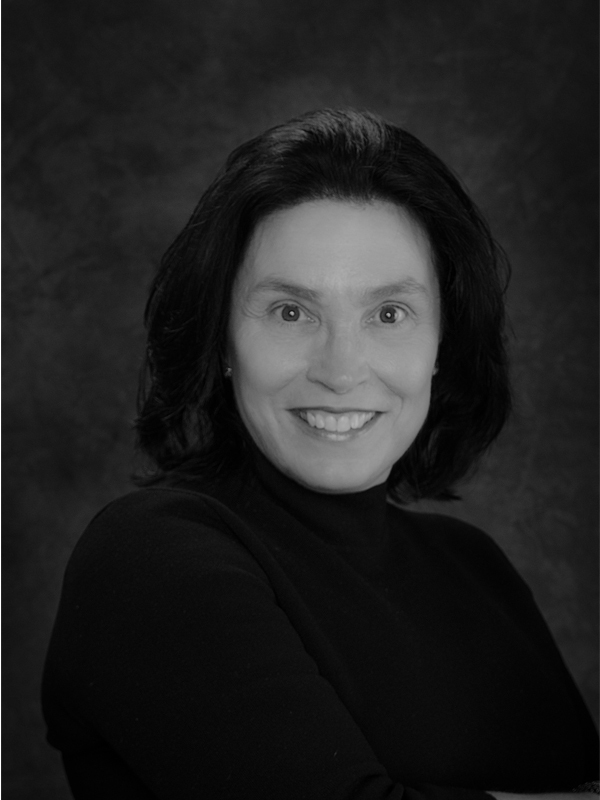 Kim Wohler is the exclusive agent representing the Vermont real estate market as a member of the Haute Residence Real Estate Network. View all of her listings here.